I've had a lot of experience calling banks, tech companies, the phone company, etc. and getting somebody who calls himself Bob or Oscar - with a (red dot) Indian accent. I'm largely dissatisfied with the service. I realize that whatever company would prefer to pay an Indian less to screw up my account and explain it to me in broken English than paying an American (likely an immigrant from Somalia or Mexico) to explain it to me in broken English. Yesterday I called Bank of America to discuss a matter. In this case I reached Oscar in Bombay/Mumbai who took it upon himself to argue with me. I was holding B of A documents in my hand, cited the documents, and he argued that I couldn't believe my lying eyes. So, I hung up on Oscar, documents in hand, and went to a regional B of A office, irate. They acknowledged an error and fixed it in three minutes. It's not the first time. Time Warner Cable did the same thing to me two weeks ago by routing my trouble call to somewhere in India, where I met Sally on the phone. Sally argued with me that the router I had was of the highest quality. I agreed, but the fact that it didn't work was the problem. Sally argued that it did work. I asked for a supervisor. I forget his name but he kept up the refrain that it worked, even though it didn't. About two hours later they transferred me to a guy in Texas. He was familiar with the problem and said that they'd been replacing hundreds of them because they were defective. He express mailed me a new one and I shipped the old one back. That took about two minutes. When I receive an unsolicited call and there's an Indian accent on the other end, I am polite but explain that I don't buy things from India. They like to argue with me that they are not from India but are selling something on BEHALF of another company. Same/same, I am polite and then I hang up. I have no gripe with Indian people. I've been widely published in Indian Defense Journals and have worked with RAW, the national intelligence agency in India. I have good friends who are Indian. 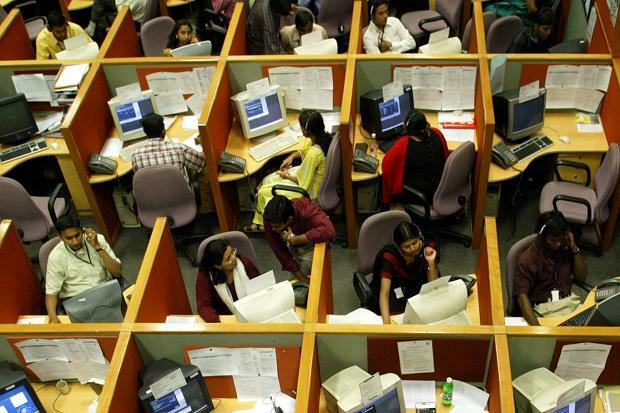 But the call center types ANNOY ME. 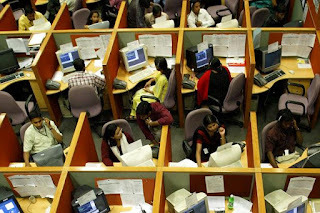 From what I hear, the Indians are paying too well now and they are in turn sub-contracting to Filipino call centers who pay their employees on the order of $10/day...and you KNOW where that's going.